One of the products I offer is canvas prints. They come in all kinds of sizes, from small to huge. A big advantage of canvas prints is that they don’t require framing, which can get really expensive with large pieces; especially if they are a non-standard size. Canvas prints are a great way to feature one of your prized photos of the family, or display a beautiful vacation photo prominently in your home or business. 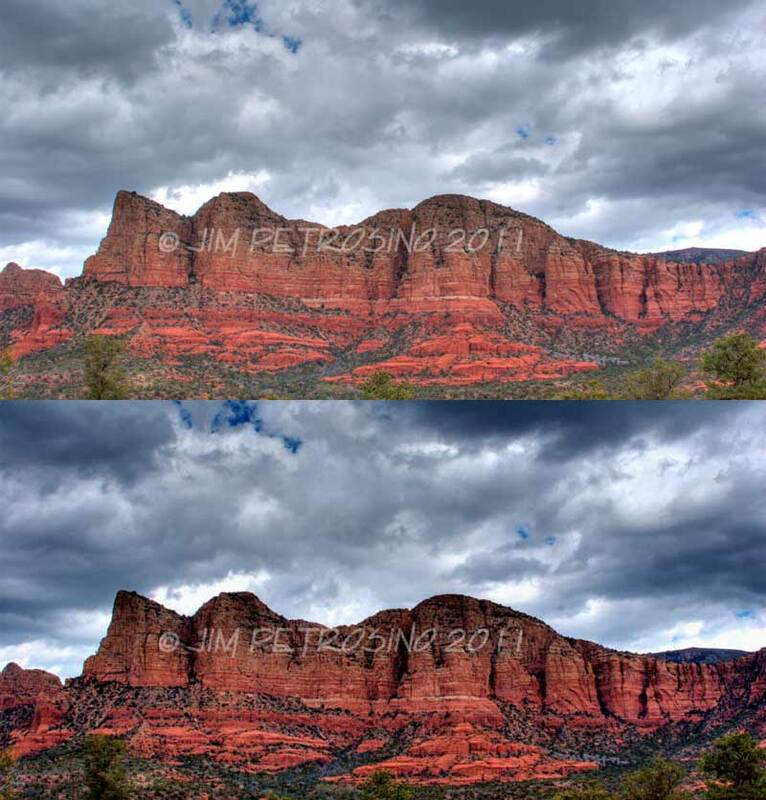 There are many places you can get canvas prints made from photos you already have, but there are a lot more options and benefits if you have it done through a professional photographer like me. 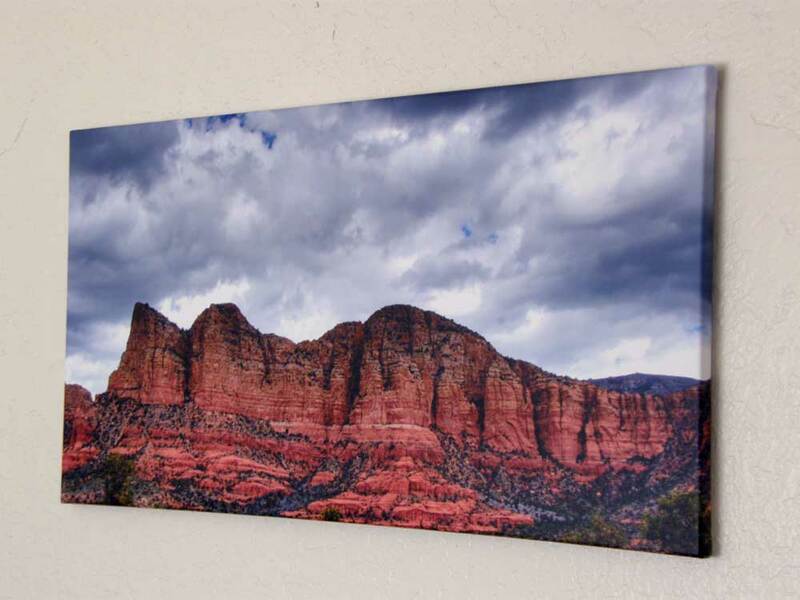 High quality canvas prints come with a dizzying array of options available from size, to depth, to canvas thickness, and special coatings to protect them from hazards like UV and fingerprints. If you drop off a photo (digital or printed) at your local megamart and have them turn it into a canvas because it is cheap; you are probably not going to get the best quality you can. Quality counts on large pieces! You want the best you can afford, and it helps to discuss your options with someone who understands them and can make suggestions based on where you want to hang the piece and the impact you want it to make. You want the piece to be big, bold and beautiful. Not big and cheap-looking. Another drawback to using a drop-off service is that most of the work is done by machines and humans that aren’t looking out for your best interest. They are just running the piece through the mass-production-mill. Things like color balance might be adjusted, but they aren’t adjusted by hand to accentuate the piece itself; they are adjusted to a one-size-fits-all “best case scenario”. In the photos above, you can see that the colors and tone of the picture (not to mention the dimensions) were adjusted to precisely what I wanted them to be. I could do this, because I took the time to find out where the piece was going, and the statement it was supposed to make. A photo that is going to end up almost three feet wide needs to be treated differently than something that will be six inches wide and tucked away into a photo album. One will get seen by everybody, all the time. You must keep that in mind. First off, let me tell you that this is not a definitive tutorial on the “right way” to take lightning photos! This is just how I have done it lately. Early on, I did it the harder way…stand in the pouring rain and point your camera around with the shutter open for as long as it can, or as long you think you can hold it somewhat steady. My first lightning photo was taken this way, and I’ve been trying to improve on that since. This latest photo, was done using my now preferred method. I wait for the evening monsoons to roll into the Phoenix area, then I grab my Canon 20D (which hopefully has a full battery charge), a fresh memory card, and my tripod. Oh yeah, and the Wireless Remote Control for the camera. Oh – and the stone bag for the tripod. What’s a stone bag ? Well, its pretty much what it sounds like. Its a three sided canvas bag that clips onto my tripod legs. When the tripod is standing, and the bag is opened – you can toss stones, dirt, water or whatever else might be on location into the bag to add weight. Essential concept if you have a thousand bucks sitting 6 feet above the ground in a decent wind! Ok, so now the tripod is set up, camera atop it. Stones in place. I point the camera towards where there is lots of lightning. Then I fumble with the controls since it is dark and get the camera set to manual. Lens Focus to Manual – infinity. Aperture to around f8 as a starting point. Shutter to around 15 seconds. This setting allows me to click the shutter a few times without seeming like forever to see if I got any lightning strikes into the camera. With any luck, I have a couple of shots out of 20 that have some strikes. This allows me to see if I need to crank the aperture up or down. So, back to the shots. I started at 15 seconds, f8. By now I have determined how bright the bolts are after a few captures, and adjusted aperture. Now, I can switch the camera to bulb mode and vary the length of shutter. If I get lucky, I open the shutter and BAM! Lightning bolt. Close shutter. Usually, it is open shutter, wait…30 seconds later figure the shot is doomed to noise hell close shutter…BAM! Lightning Bolt. If there is one thing for sure when snapping lightning photos, the best bolts WILL happen right after you close the shutter. Or, right after you turn the camera in another direction there will be a bolt that splits into 50 fingers that would have filled your megapixels with glory, had you not got impatient and pointed away. So, that’s it. A little methodology…a lot of luck. As for other details like ISO – I start at around 200 and go up from there. The higher I go, the shorter my shots are. No ISO 1600 shots for 5 minutes. Bad idea, at least with my camera. Perhaps you have a better one. Oh yeah – safety. This is an inherently risky hobby. That’s why I am not telling YOU how to do it. I am telling you how I do it. But, in the sake of safety – a great way to do it would be to find a parking garage where you can see lightning from and shoot from the 2nd highest level, so you have a roof over your head to protect you and the gear from rain and death. If you find a parking garage that is unguarded, surrounded by cool backdrops that are photogenic at night…good for you. I haven’t found that yet, but I read somewhere on the net that it is an excellent way to do this safely. Seriously. Standing in a thunderstorm with a thousand bucks or more standing on a metal tripod is risky business. If you can’t hear the thunder but are getting good shots…stay at it. 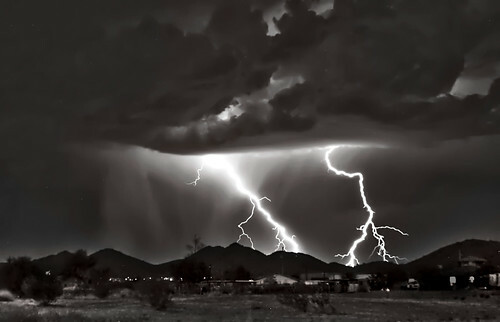 If you hear thunder when you see the bolts…pack up and go home. If you are lying down on the ground and shooting the bolts directly above you…please write up a quick note willing your gear over to me after your death. Have it notarized.